Royale Sabre - Take two! Peter - Your build always looks very professional. Hope all goes well with the engine start. Unfortunately, progress this week has slowed to a halt due to the sub-zero temperatures. This week I've made a bit more progress on installing the engine loom. 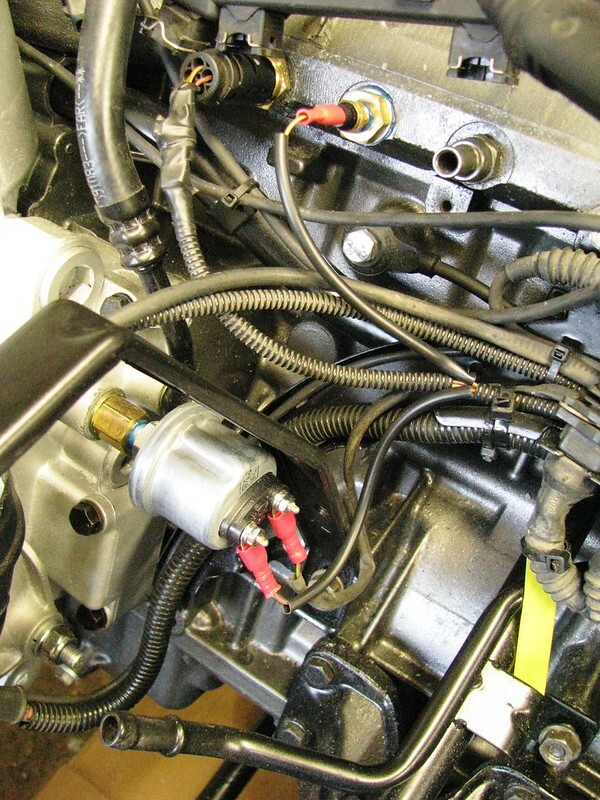 First, I finished wiring up the ETB Temperature and Oil Pressure senders. 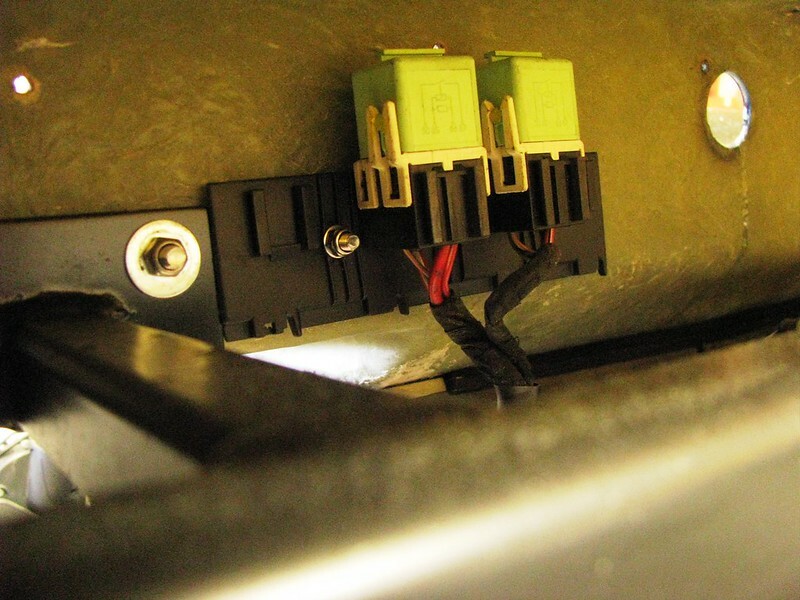 The BMW dashboard temperature sender uses two wires but the ETB sensor only uses one (and earth). I have re-purposed the spare wire for the oil pressure sender so I didn't need run an extra cable. I then mounted the two engine loom relays up behind the dashboard, again really determined by the length of the cables as I didn't want to cut and rejoin when not necessary. I'll need to check i can get to them when the dashboard is installed. 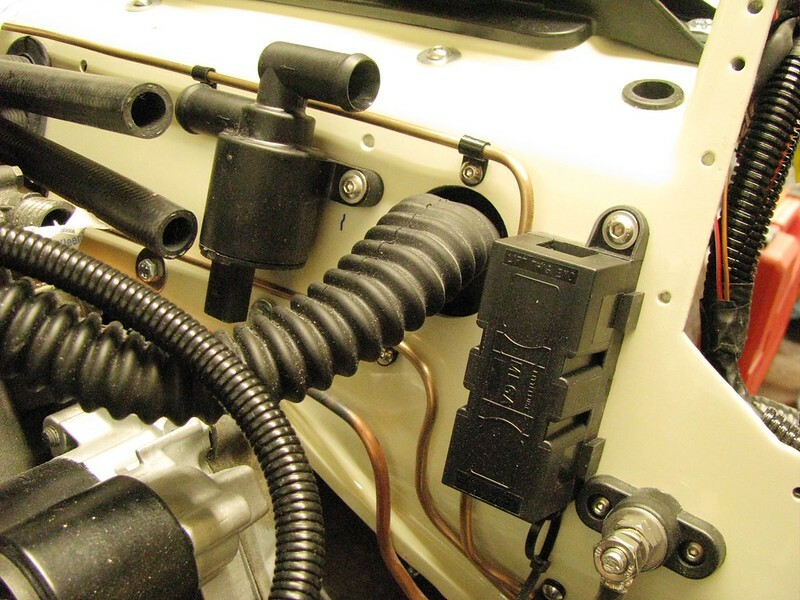 I then had to find spaces for the heater control valve and a megalink fuse so I had to temporarily install a number of parts to check for clearance and space. The battery shown here is old one from my wife's car but is just a tad too long, so I'll have to get a shorter one. I've rotated the the BMW MAF elbow through 180 degrees. 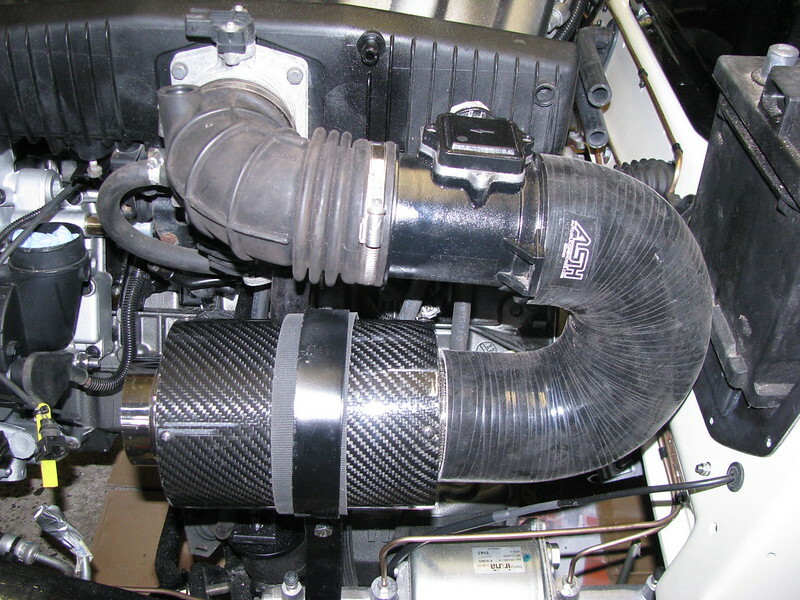 Then added a 180 degree silicone hose to the Compbrake air filter. 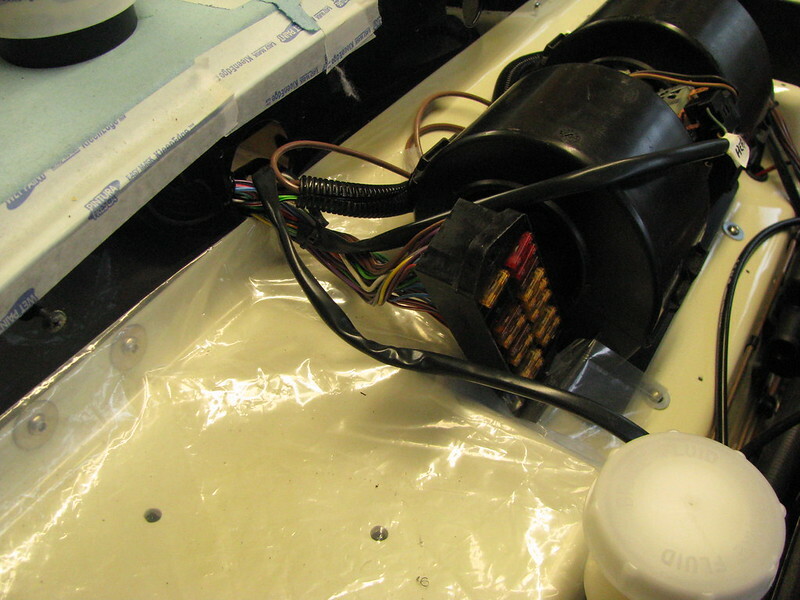 I then got on with installing the heater control valve and the Megalink. 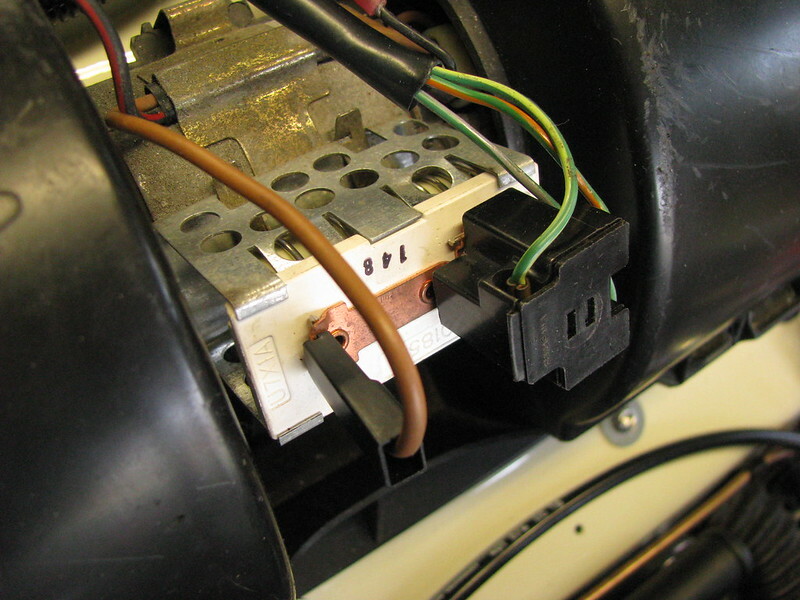 I had planned to use a Ford Fiesta heater control valve until I read on-line how unreliable they are (which explains why there are hundreds of replacements on ebay). So I've chosen an Audi/VW water control valve. This one is from a 2018 Audi A8. I've also mounted a battery ground point. 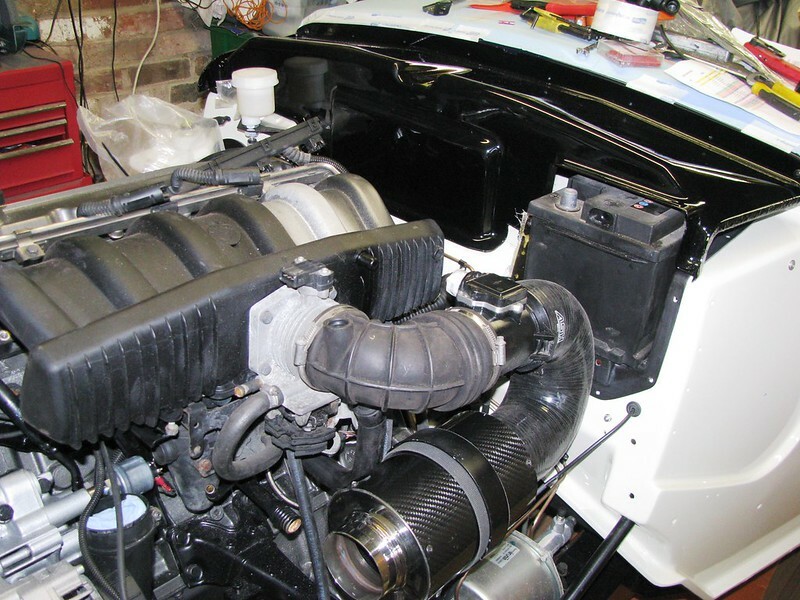 I've just ordered up some hose adaptors and heater hose to connect all this up and then I can start re-installing the inlet manifold, etc. Over the last two weeks I've tackled a rather random bunch of tasks some of which have taken a frustrating long time to get right but that's how it goes some times. 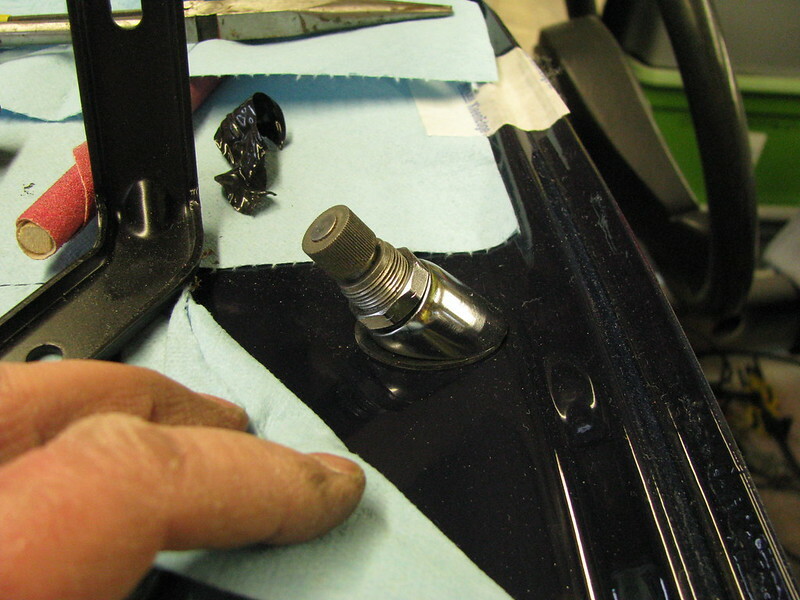 The BMW accelerator cable didn't suit the Ford pedal so I cut the hook off. 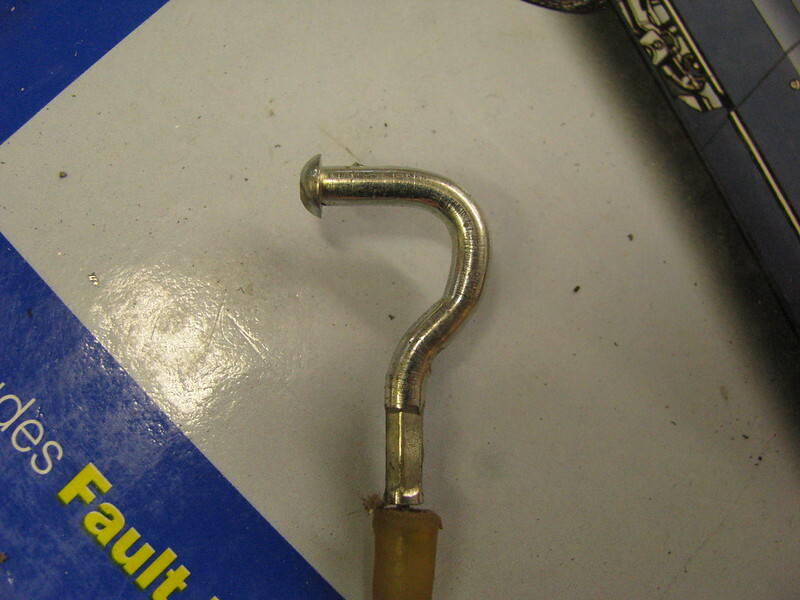 To terminate the end of the cable I used this little clamp. It is very secure but I put a blob of epoxy glue on it before tightening it as it is so difficult to get to and I didn't want it falling off. 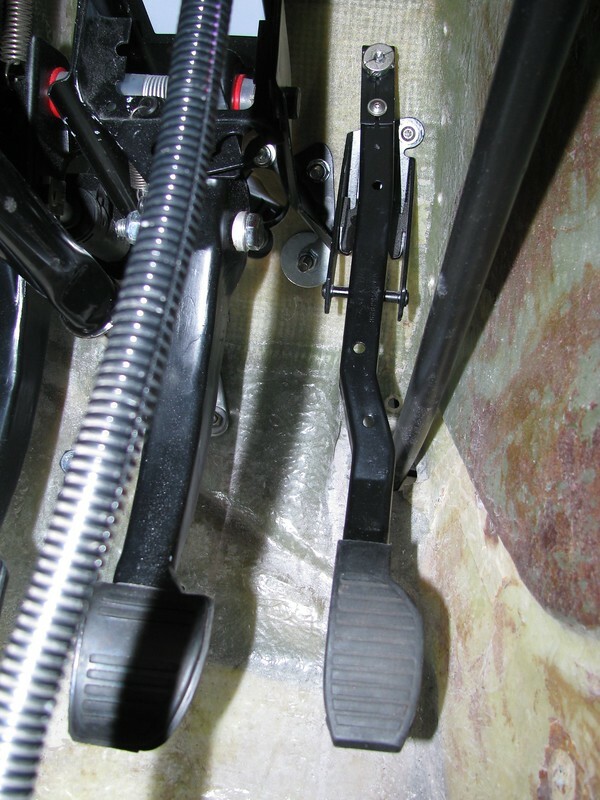 I could then install the Accelerator pedal. 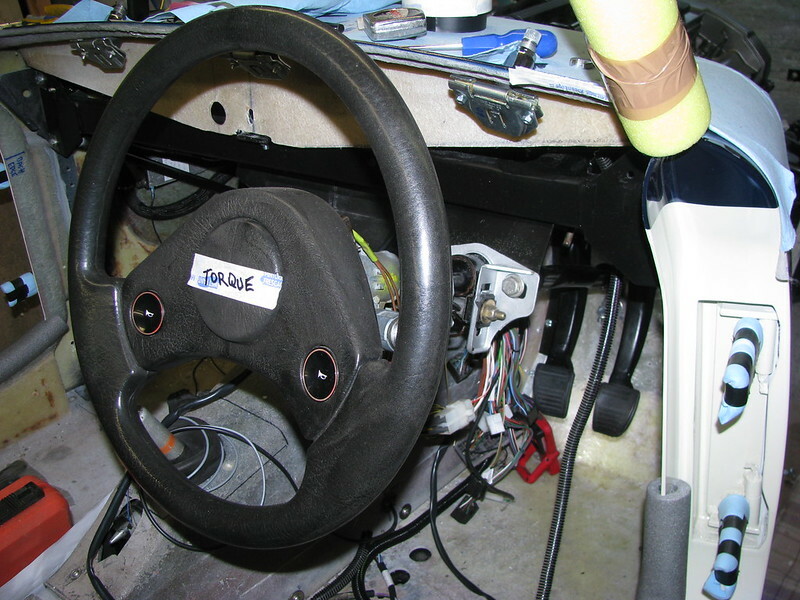 I've reinstalled the steering column and a Ford steering wheel that is IVA compliant. After years of searching I found a new lower coupling on ebay. 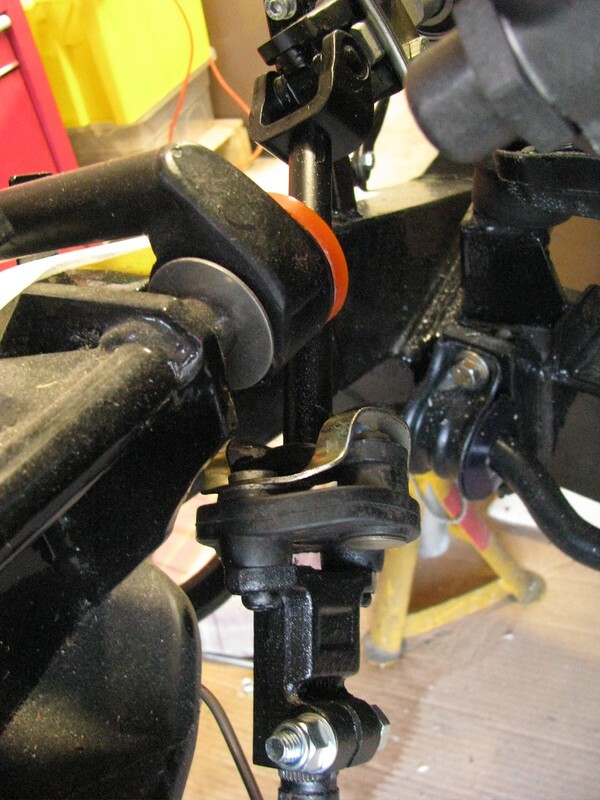 I've mounted the wiper wheelboxes but the wiper motor drive tubes that came installed in the car were made of copper which is not recommended as the copper wears and can be noisy. I've ordered some new steel ones from SVC. It's nice to install the first small bits of chrome bling. I've laid in the Sabre main wiring loom. 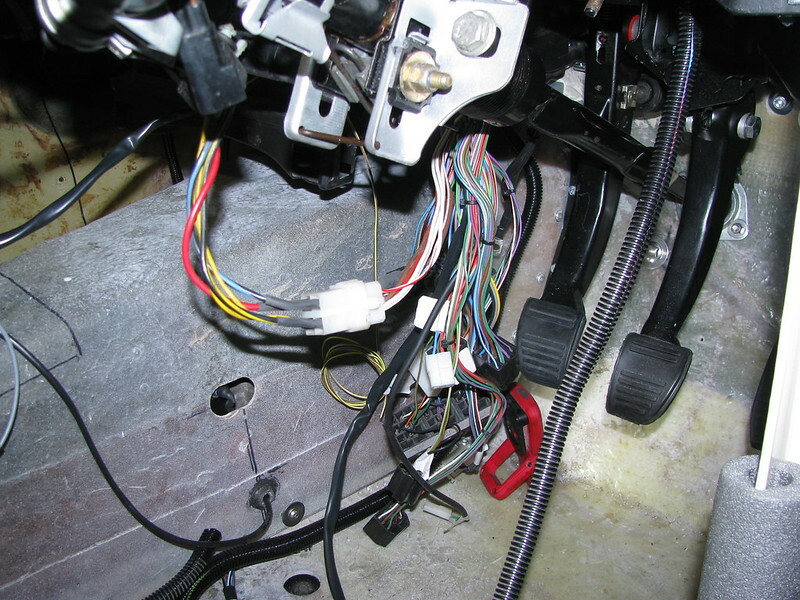 The crimps in the white connector from the ignition switch, in the center of this picture, were very poor and I had to remake them. Loads more to do but all these small steps gets me nearer the end goal. It's been a while since my last update and to be honest I haven't made a great deal of progress due to other priorities. 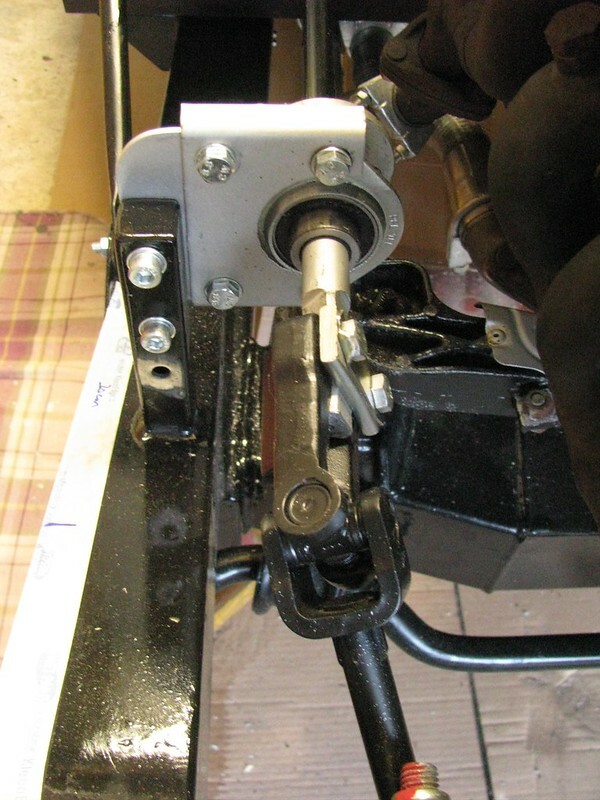 The wiper motor drive and 'bundy' tubes have been fitted. The original copper tubes have been replaced with steel tubes from SVC who cut and flare them to your specific requirements. It's a messy job as you have to coat the drive shaft with lashings of grease as you assemble it into the tubes and through the wheelboxes. 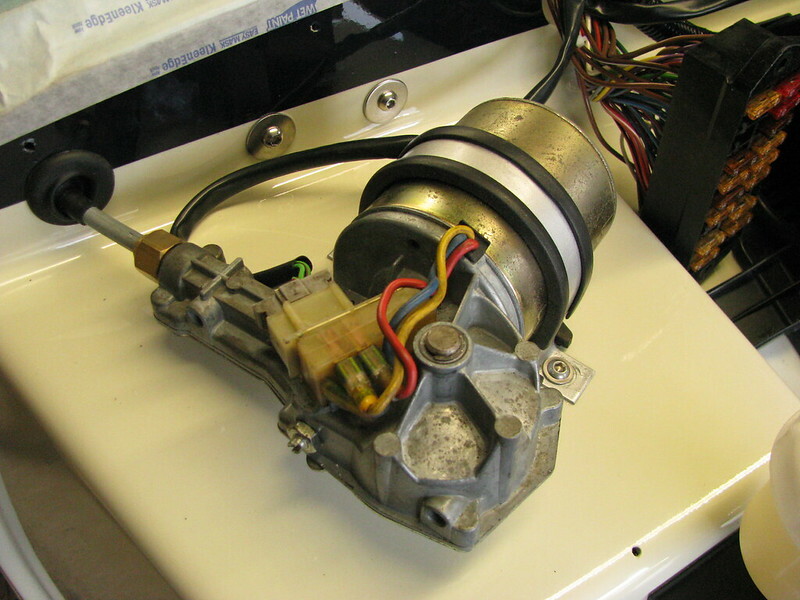 The wiper motor has been cleaned up, re-greased inside and installed. It came fitted with a 110 degree cam wheel but The Royale owners club suggest you should use a 100 degree wheel. I'll wait and see what the sweep is like before investing in a new wheel. 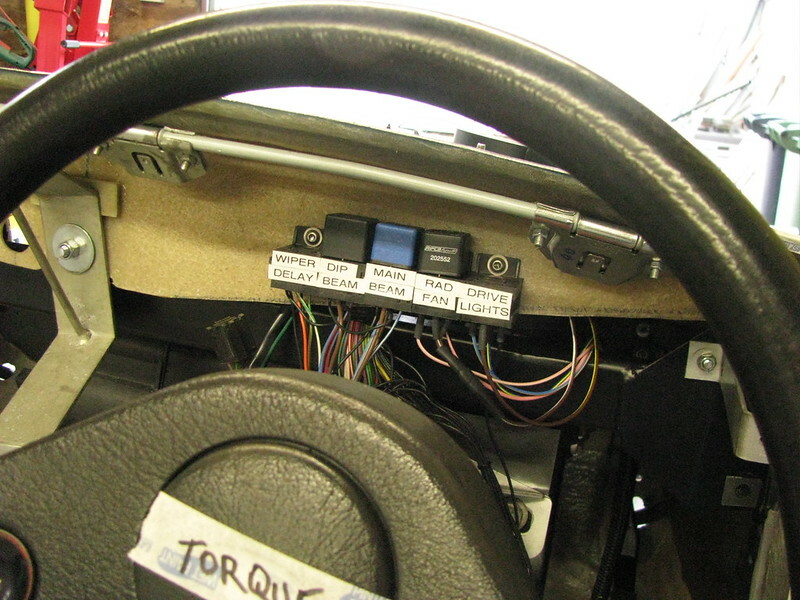 It's difficult to test until the windscreen is back in and the wiring is completed. Unfortunately, the brand new heater resistor pack that I bought was not compatible with the Sabre's loom and heater switch. Luckily I found this used one on ebay from an early Sierra in excellent condition. 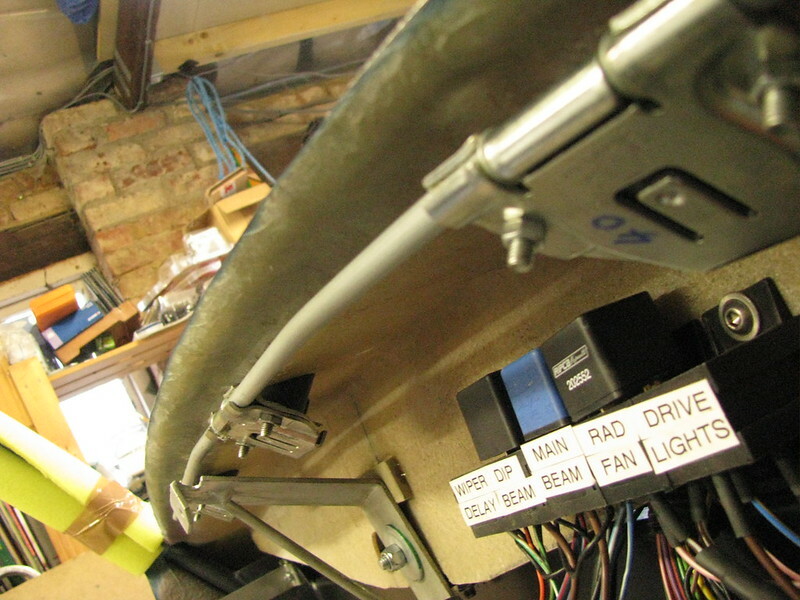 Back to progress on installing the loom, I've mounted the relays behind the dashboard instruments. 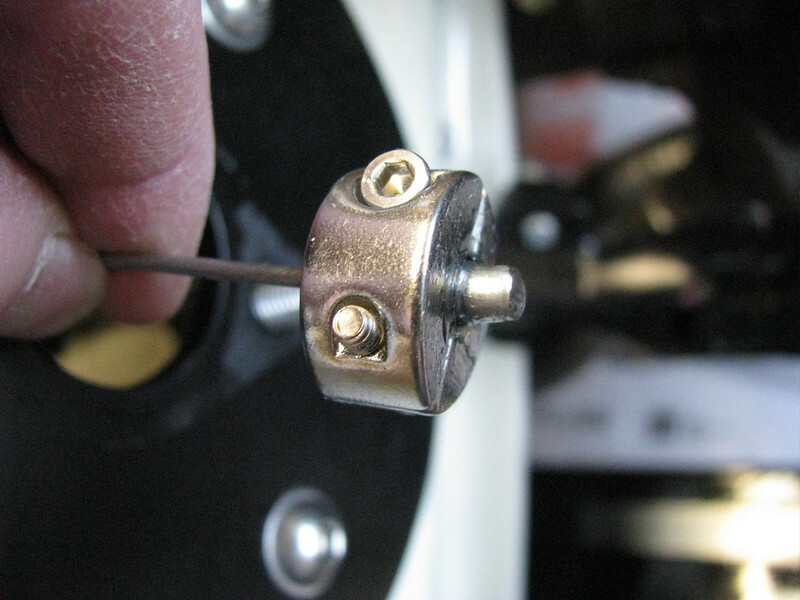 I measured to check there is sufficient clearance behind the instruments wiring. The original loom came with relay sockets for indicator flasher, intermittent wipers, main beam and dipped beam relays and I have added two more for the radiator cooling fan and a pair of driving lights. Easy to get to should they ever need changing by just popping out the dashboard. As usual, well done, I admire and love what I see you doing. 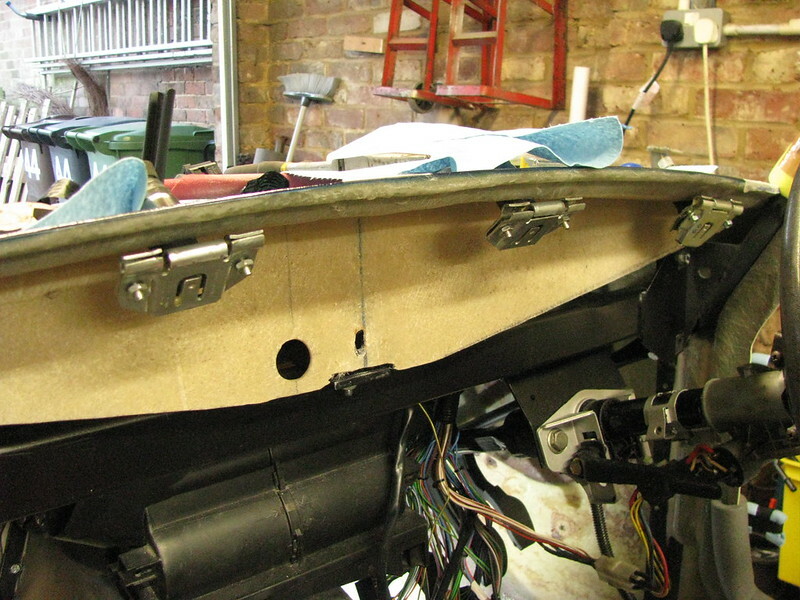 Have a suggestion with regards to the relays fitted to bulkhead above steering column, fitting them facing down, if possible, would mean you don't have to take the whole dashboard with speedo cluster off to reach them, as it would be very tight to reach if faced up. Interesting idea, I'll have a look to see if that is possible.